The Dutch ingenue lined up on the front row for Sunday’s race, and a well-judged start saw Verstappen pass pole-sitter Sebastian Vettel around the outside of Turn 1 on the first lap, in the process gaining the lead that he would go on to hold until the chequered flag. "The start was very crucial as I went around the outside," Verstappen said after the race. "That worked out really well! From there on I was basically looking after the tyres and the car which performed brilliant in the race. Of course a big thanks to Red Bull because without them this wouldn't be possible. 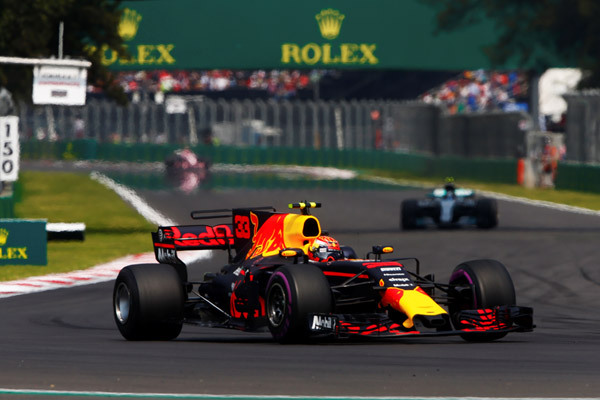 Verstappen’s performance in Mexico can only be described as commanding, and the flying Dutchman maintained such strong pace throughout the 71 laps of the Autodromo Hermanos Rodriguez that his team radio was dominated by calls asking the young driver to slow down, to try and match the pace of Valtteri Bottas behind. But despite the best entreaties of the team, Verstappen kept extending his lead over the chasing Mercedes, running between 15 and 18 seconds ahead of Bottas for much of the afternoon, and eventually taking the chequered flag with 19.678s in hand over the competition. It was a faultless performance, and a richly deserved third career victory for the 20-year-old racer. Championship rivals Sebastian Vettel and Lewis Hamilton made contact on the first lap of the Mexican Grand Prix, sending both drivers from the front of the grid to the pits and setting the scene for an afternoon of recovery drivers from two men fighting tooth and nail for the drivers’ crown. The pair collided as they were exiting Turn 2, resulting in a puncture for Hamilton and a damaged front wing for Vettel. Both drivers pitted as soon as they were able to manhandle their cars around the lap, and following fresh rubber for the Mercedes and a new nosecone for the Ferrari the stage was set for a fascinating afternoon as two of the sport’s great talents fought their respective ways back up through the field. Vettel had the advantage on track, having made it back to the pits before Hamilton, but his points deficit meant that the German needed to secure a second-place finish if he were to keep the championship battle alive. While Vettel delivered a stunning performance to finish fourth, it was not enough to prevent Hamilton from claiming the drivers’ crown with two races left in the season. "I hated every bit of that race," Mercedes team principal Toto Wolff told SkySportsF1 after the race. "It was really bad and too long. I think we were rattled after the beginning, the crash. "In the car you don't know what's happening, is Sebastian still in the race? Can he score points? After a while we explained the situation to him and we were all focused on making the best out of it. You have this massive gap in points and people say 'it's done' but it's not. It's motor racing and then you have this incident and Sebastian could have won and we could have DNF'd. After his first lap contact with Sebastian Vettel at the Mexican Grand Prix, Lewis Hamilton went from a second row start to limping his way to the pits with a puncture. It was a terrible start to an afternoon which was supposed to have been a walkover for the Briton, who only needed to secure fifth place to secure his fourth world championship. 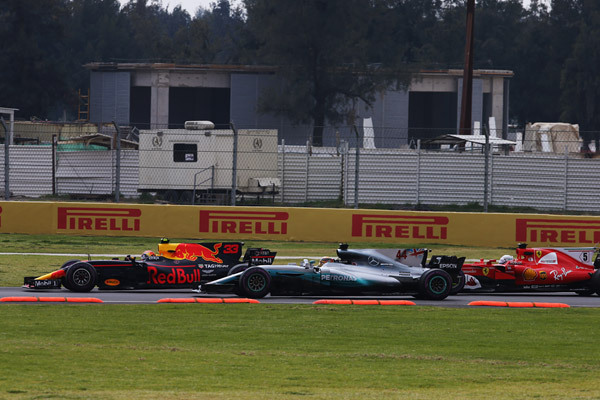 With fresh rubber following his lap one stop, Hamilton was running at the back of the pack for the opening stages of the race, unable to get past the likes of Carlos Sainz and Pascal Wehrlein. Ahead on track, Vettel was making slow work of picking his way through the field, but by the time Hamilton had overtaken Sainz his championship rival was running in the points. 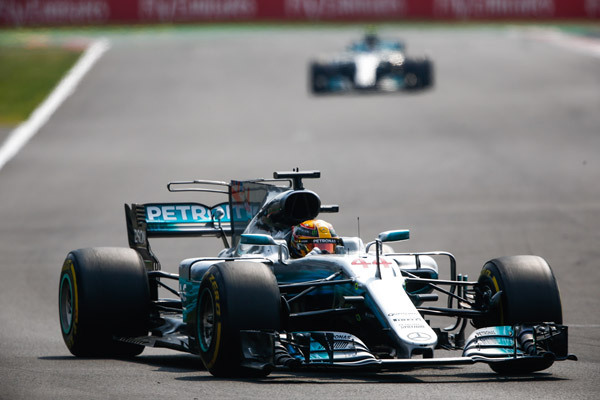 With the race one-third complete, Hamilton’s recovery drive began to pick up speed, and the Mercedes driver started to work his way through the field. But with fewer than twenty laps remaining, the Briton was still running outside of the points, while Vettel was closing in on a fifth-place finish. In constant radio communication with the team, Hamilton knew that the second-place Vettel needed was out of his rival’s reach, and the title was his by rights. But that certainty didn’t take the fight out of Hamilton’s performance, and the closing stages saw a nail-biting duel with Fernando Alonso that could have seen both drivers out of the race, and the championship battle extended to Brazil. Having made it past Alonso following a firm but fair battle, Hamilton crossed the finish line in ninth place, securing his fourth world championship in the process, and becoming the most successful British driver in F1 history. “It doesn't feel real,” Hamilton said after the race. “That was not the kind of race I wanted. But I never gave up and that is what is important -- what is in my heart. I kept going right to the end.